Jessica Townsend’s Nevermoor: The Trials of Morrigan Crow (Hachette) has been named Book of the Year at the 2018 Indie Book Awards, presented at the Leading Edge Books Conference in Hobart on 26 March. 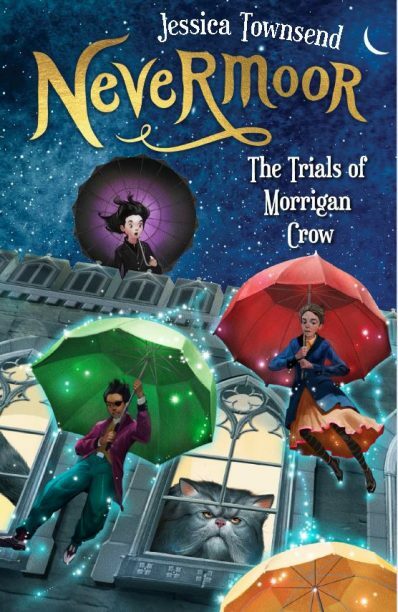 Nevermoor is the first children’s title to win the overall award in the ten-year history of the Indie Book Awards. The Indie Book Awards are chosen by independent booksellers to reward and promote excellence in Australian writing. Panels of judges comprising booksellers and readers chose the winners in the six categories, and the overall Indie Book of the Year was voted on by independent booksellers from Australia, who are also members of Leading Edge Books. This year saw the introduction of a new category—illustrated nonfiction—to mark the tenth anniversary of the awards. The overall winner receives $1000 and the category winners each receive $1000. The winners were chosen from a shortlist announced in January.